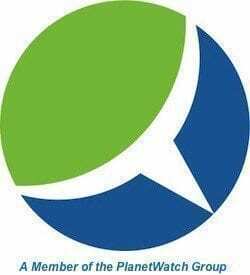 A new directory of residential green building products has been published by BuildingGreen, Inc., the publisher of Environmental Building News. The directory is aimed at homebuilders and homeowners and will hit the bookstores next December. It includes more than 1,400 products from the GreenSpec® database of green building products a database which the company has maintained since 1998. Products are selected for GreenSpec based on criteria that Environmental Building News editors have developed over more than ten years. These criteria include recycled content, FSC-certified wood, avoidance of toxic constituents, reduction of construction impacts, energy or water savings, and contributing to a safe, healthy indoor environment. Manufacturers do not pay to have products included in Green Building Products or in the GreenSpec database. “We base selections on careful in-house review by our editorial staff,” said Wilson. “Maintaining an arm’s-length relationship with manufacturers allows us to be unbiased when we are evaluating company claims,” he said. Details on the product selection process and the full list of criteria can be found at www.BuildingGreen.com. Green Building Products includes everything from pre-cast concrete foundation systems to recycled-plastic roofing shingles and top-efficiency heating equipment. Products are organized according to building component but can also be found in the index under manufacturer or product name. Photos are included for about 300 products. 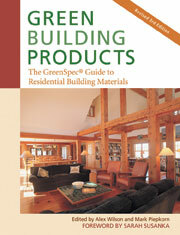 Green Building Products is published with New Society Publishers and is priced at $34.95. It’s available at BuildingGreen, Inc. and at selected booksellers.